Absolutely brilliant, Holly is fantastic with my dog and he absolutely adores her. Cleaning service that is offered is superb, everything is done to fit in with your lifestyle and nothing is too much trouble. Holly is a really friendly and likeable person, very trustworthy. I highly recommend Hollys professional service. I would be totally lost without her and only wished I had found her services sooner. 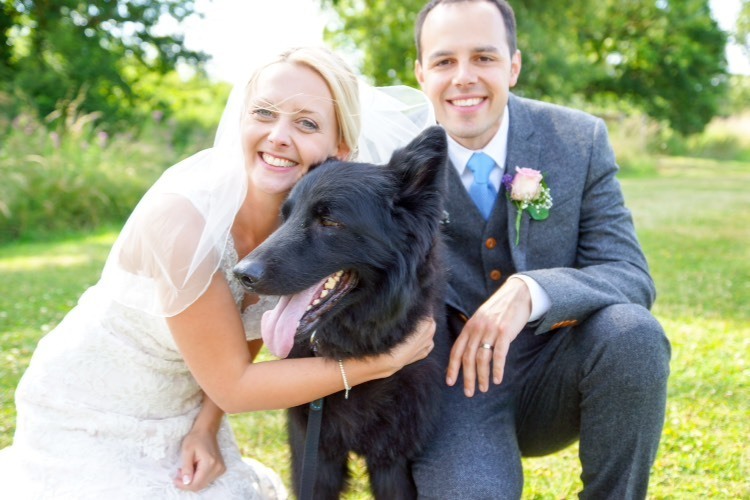 Just to say a huge thank you for your help last month pet-sitting three dogs and bringing our much-loved-mutt Buddy over to have some photos taken at our wedding reception. It was a bit last minute, a logistical nightmare, and would have been a challenge for most but Holly made it happen for us...thank you! Also, we have never witnessed a new person come into the house without Meg and Poppy barking like crazy for at least five minutes....absolute silence and straight over for fuss?!? Dog whisperer! Joanne Davies – Holley is very dedicated, trustworthy and caring lady. Offers a first class and exceptionally reliable service. Holly you are absolutely amazing Pixel loves having you come round. Fantastic service from holly.